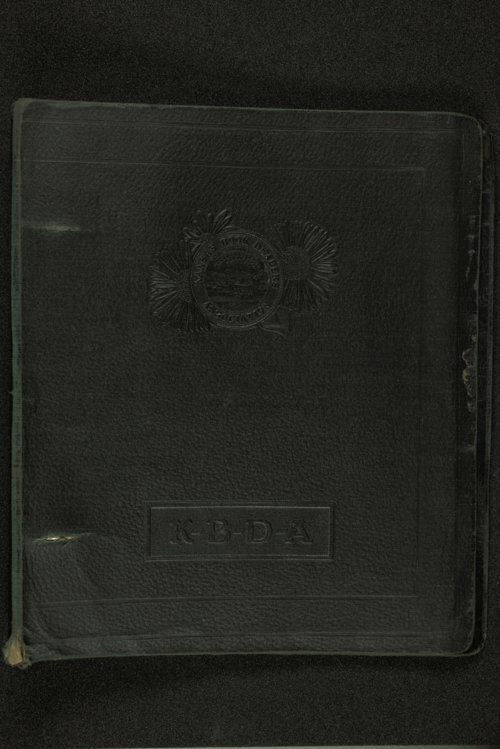 A scrapbook compiled by Almeda Harrison comprised of cards, artwork, photographs, newspaper clippings, play programs, and conference schedules. Almeda was involved in the Girl Reserve at Camp Wood near Elmdale, Kansas, and activities at Riley Rural High School in the 1930s. Almeda was born on April 26, 1920 to Roger and Hermina Harrison.